I’ve convinced my old buddy Tommy Kane to teach for the first time. 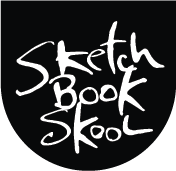 He’ll be sharing all sorts of great insights at Sketchbook Skool in a few weeks (May 9th). I’ve already learned a huge amount from Tom and Skool hasn’t even started! Next Post Release the hounds! Really looking forward to taking the classes. How about diplomas and tee-shirts upon graduation? Save me a seat in the front row. I’m most excited about the diversity and the hanging out with artists watching them work. I think you have a good structure here…so hurry April 4th! Hi, is it my iPad or does anybody else have a problem with the words and mouth not in sync, it is somewhat distracting! I am hoping the klass videos don’t have this problem, otherwise it should be a blast! As we have said about these Skype videos in the past, they are crude and efficient but suffer from the lags of international networking. The SBS klass videos will be gorgeous and perfect. Sorry missed that, looking forward to the klass, thanks for the info. Looking forward to the klass with the armed and dangerous squirrel. Very excited.